MWC offers the YEW Summer Camp for students finishing the sixth, seventh and eighth grades (ages 11-14 approx. ), now entering its seventh year. Modeled after the high school program, the YEW Summer Camp consists of close instruction in prose, poetry, and drama and culminates in a public reading of the students’ work. Guest instructors make appearances throughout this week-long program. Participants will receive 25 hours of immersion in the literary arts to enhance, improve and diversify their writing skills. Full scholarships will be available and granted to those with financial need. The 2019 YEW Summer Camp will take place at MWC in the Rock Island Public Library July 22-26 from 11 a.m.-4 p.m. each day. The Family and Friends performance will be Friday, July 26, 3 p.m.-4 p.m. Participants should bring a sack lunch each day. The YEW Summer Camp is open to students who have completed sixth, seventh or eighth grade at the end of the 2018-19 school year. Cost for the week-long day camp is $100, which also includes a one-year MWC student membership, and a copy of the book Bix Biderbecke: Jazz Age Genius. Scholarships are available for those with financial need–see the application below. Please call the MWC at 309-732-7330 for more details or to register by phone, our you can register online using the PayPal link below. 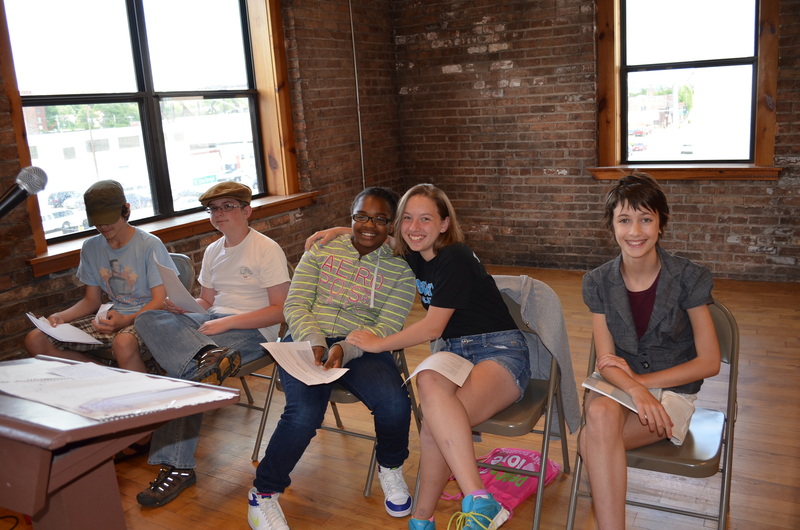 Funding for the Young Emerging Writers Middle School Camp generously provided by the Hubbell-Waterman Foundation, the CD Wiman Memorial Trust, and the Illinois Arts Council Agency through federal funds provided by the National Endowment for the Arts.